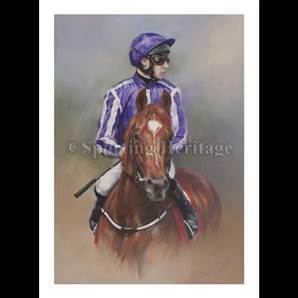 A Limited Edition fine art print by Jacqueline Stanhope. 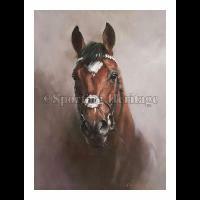 Winner of the Investec Derby at Epsom, the Dubai Duty Free Irish Derby at the Curragh and the Juddmonte International Stakes at York. 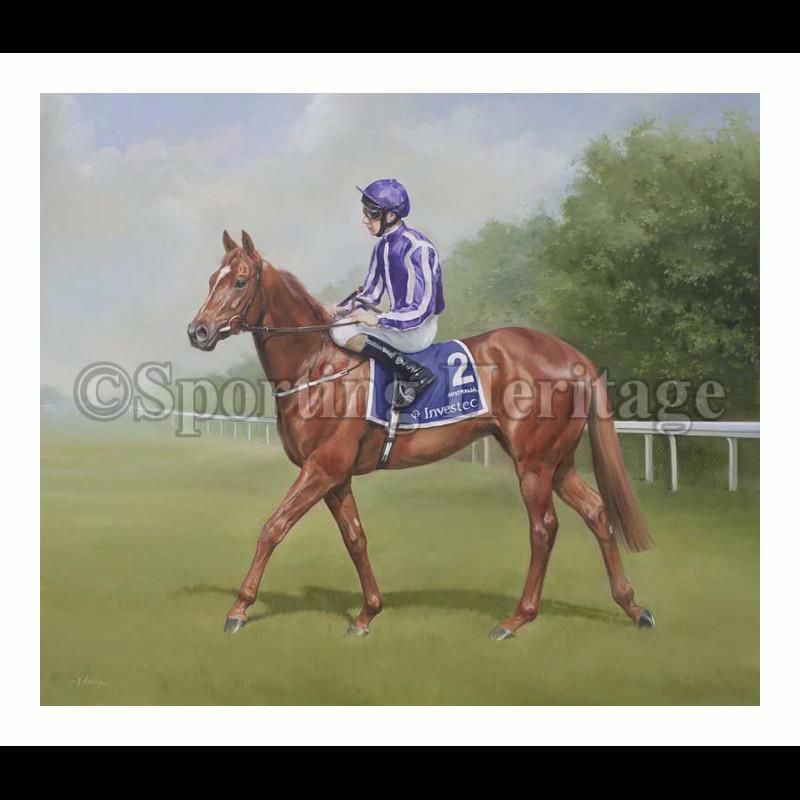 Trained at the world famous Ballydoyle stables in Rosegreen, Co. Tipperary by Aidan O'Brien and ridden by his son Joseph. Australia is by the world's greatest stallion, Galileo, out of the great champion and multiple Group 1 winner Ouija Board. Both Australia and Ouija Board were bred by Lord Derby at Stanley House Stud in Newmarket. NB: the image size quoted is approximate, please do not order a mount or frame until you have taken delivery of the print.